A lifelong resident of the Pacific Northwest, Dr. Mark Stapleton grew up in Portland and went to college in Walla Walla, studying history at Whitman College. He enjoys spending time with his wife, Karen, and their children, Jackson, Marie, and Jane. As a family they enjoy outdoor activities including fishing, skiing, kayaking, and learning to surf. 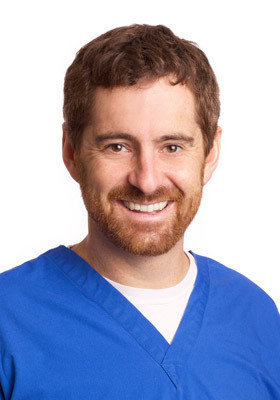 Dr. Mark is a graduate of Oregon Health & Science University (OHSU). He was among the top of his class, graduating with honors and clinical honors. He was selected to be a member of the Omicron Kappa Upsilon national dental honor society and received the Outstanding Senior Student in Periodontics award in addition to the Outstanding Leader Award. Following completion of his dental degree, Dr. Mark practiced general dentistry in a community health clinic in Butte, Montana. Subsequently, he was accepted into a pediatric dental residency in Seattle. After conducting research and seeing patients through the University of Washington and Seattle Children’s Hospital, he graduated with a Master’s degree, in addition to his certificate in pediatric dentistry. During his residency, he was selected to serve as Chief Resident. Dr. Mark’s specialized training includes child psychology, growth, and development. This training allows him to provide the most up-to-date treatment for children’s dental needs.